Attention French house music lovers! Goldenvoice and KCRW bring you OohLaLA Festival, a 3 night French house extravaganza at the Henry Fonda Theatre! 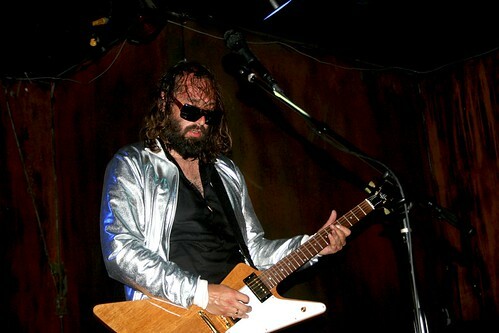 9/23 Wednesday: Sebastien Tellier, Gonzales, Cocoon. 9/24 Thursday: Nouvelle Vague Presents Hollywood Man Amour, Emilie Simon, The Dø. 9/25 Friday: Brodinski, The Shoes, Jamaica aka Poney Poney. Buy tickets for Wednesday, Thursday, Friday, or all 3 days! Nocturnal is a few days away and it is going to be one hell of an event. Come to the So Sweet Stage to check out artists like Feadz, DJ Falcon, Drop the Lime, and much more! Download a Nocturnal Festival mix by Glitch made for ClubSoda! Come on down to Bardot this Friday to check out a DJ set by Marshall Barnes! Next door at Avalon, there will be DJ sets by Dan Oh, Wolfgang Gartner and many more! Also check out Discotheque at the 740 Lounge in Downtown, LA to see Kingdom from Fool’s Gold Records and more.